Please speak out for helpless rabbits who suffer horrendously as their fur is ripped from their bodies. Please send a message to online retailer Zulily which continues to sell angora despite having heard from PETA and their supporters that rabbits are often tied down and scream in pain as their fur is torn out. It is time Zulily joined the 230 companies that have already banned angora-including fellow QVC Group subsidiary QVC, Gap Inc., Lands’ End, H&M, Inditex, Express, Calvin Klein, Tommy Hilfiger, and many others. 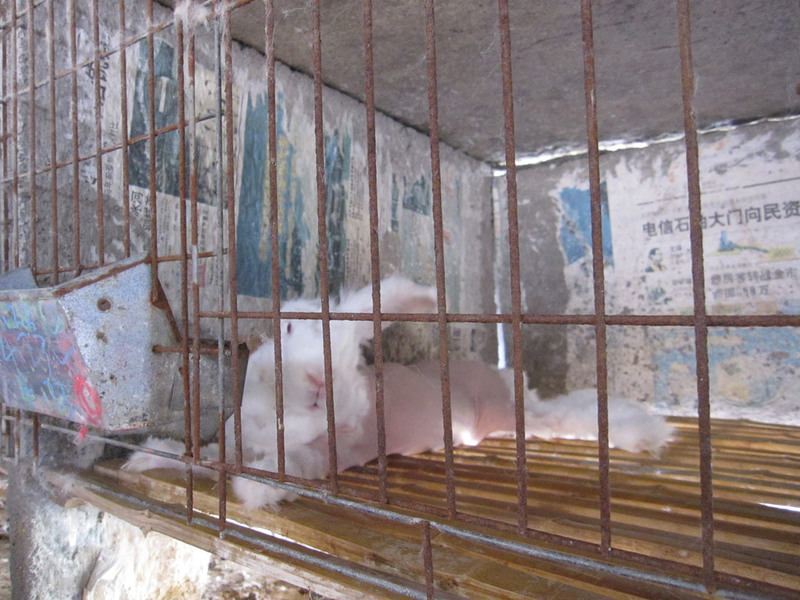 If all retailers stop selling Angora this cruelty will end. Please help PETA’s campaign to urge Zulily’s to stop supporting this cruelty and discontinue it’s sale of clothing and accessories made from angora. Please read more and send the message. Edit if you can and use your own words, but if this is not possible for some reason simply send the message as it is. Please be polite. http://www.peta.org/action/action-alerts/zulily-angora/?utm_campaign=021017%20peta%20e-news&utm_source=peta%20e-mail&utm_medium=e-news – scroll down to send the message. 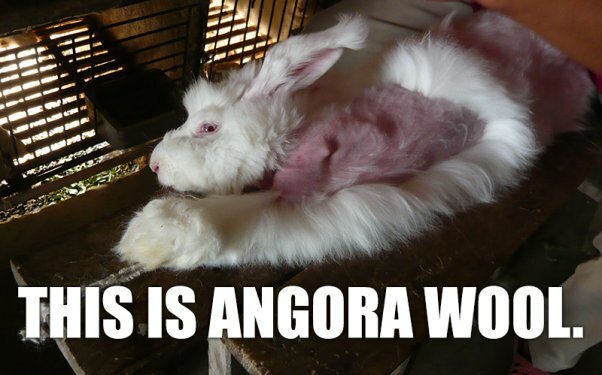 After watching this video, you’ll never buy Angora again. Warning: Distressing images which will most definitely upset many people – if you are a normal caring compassionate person that is, sadly there are many people who care only for profit at the expense of animals and are prepared to overlook such vile atrocities as the cruelty behind Angora. “The undercover footage, shot by PETA Asia, reveals routine cruelty to angora rabbits, whose long, soft fur is often used in sweaters and accessories. The investigator filmed workers who were violently ripping the fur from the animals’ sensitive skin as they screamed at the top of their lungs in pain. After this terrifying and barbaric ordeal, which the rabbits endure every three months, many of them appeared to go into severe shock. After two to five years, those who have survived are hung upside down, their throats are slit, and their carcasses are sold. Continue reading and sign the pledge. Please share widely – With with all the turmoil throughout the world we should never forget the ongoing plight of animals who desperately need our help. I don’t know what it is about rabbits but I have a soft spot for them, since adopting three rabbits all of whom had been inadequately cared for, I have got to know them as the delightful intelligent creatures they are. Unfortunately rabbits are one of the most exploited and abused of animals, along with rodents they are the animal of choice when it comes to experiments, in the USA alone every year more than 170,000 of them are abused for research. Though they are the UK’s third favourite pet, many rabbits end up living alone in a cramped hutch at the end of someone garden, only visited once a day or twice a day if they are lucky to be fed and that is not always the case as many are left to die. Many rabbits live in squalid conditions in the own excrement, neglected abandoned. Still others are released into the countryside where they are eaten by predators. Below two petitions concerning rabbits. Please sign and share. 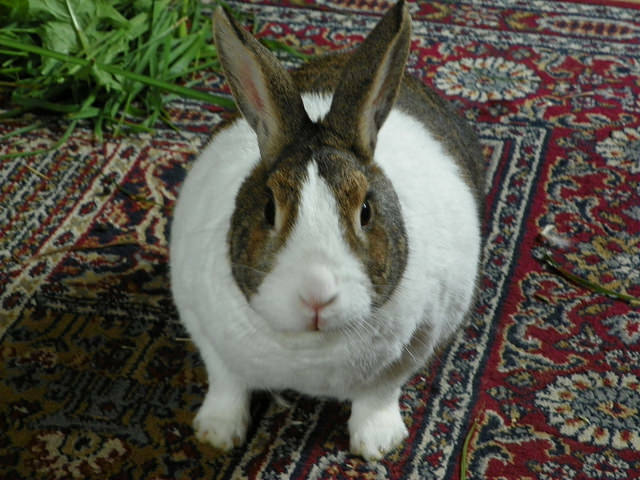 This Petition is to South Holland District Council, Spalding, Lincolnshire PE11 2XE, United Kingdom asking them to refuse an application for a unit to breed pet rabbits. 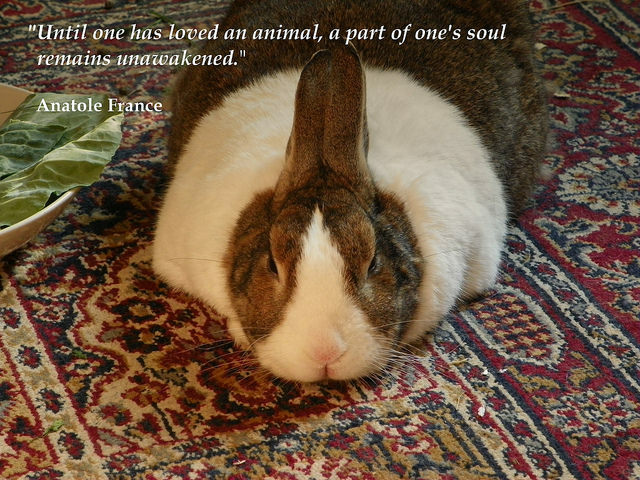 “Sadly, rabbits are one of the most neglected domestic animals. Animal rescue centres are overflowing with unwanted pet rabbits which are desperate for a loving home. 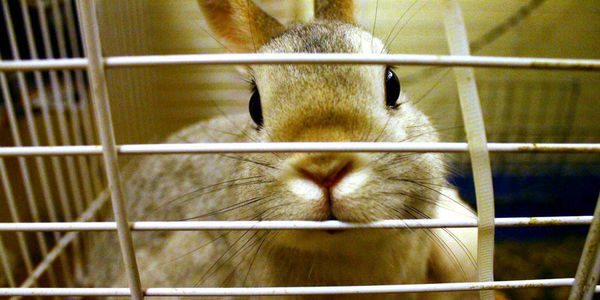 A new commercial rabbit breeding facility is a terrible idea. http://www.thepetitionsite.com/takeaction/772/469/168/ – Rabbits are not the only focus of this petition. 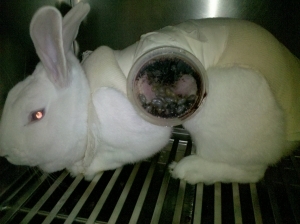 Other animals are also included who suffer terribly from cruel and unnecessary testing of cosmetics in China . Again greed has replaced morality as former test free Avon capitalise on the Chinese market. It never ceases to amaze me how money is so corruptive, it seems many people will do anything to get more and more wealth, profit is all they care about. Avon is a highly successful business, surely they have made more than sufficient money and are now one of the foremost suppliers of cosmetics, yet still they want more even if some helpless defenceless animal has to pay the price with a life of suffering. 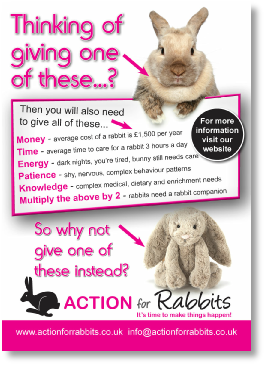 More ways to help rabbits. This article discusses the cruel treatment meted out to rabbits and ways you can help to get it stopped. 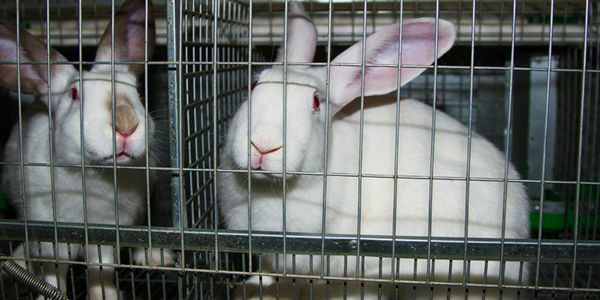 http://www.peta2.com/blog/bunnies-need-help/ Many of you will find the graphics and videos very disturbing. Look at this shocking picture from the article, it looks like a cannulas has been fitted in this poor little rabbit, for what reason I cannot imagine. I cannot find other pictures or more information relating to this being done to rabbits. I have never heard of a cannulas fitted to a rabbit, it is a cruel contraption which is fitted to a cow and acts as a porthole-like device that allows access to the rumen in order to perform research and analysis of the digestive system . I wrote an article about it here: https://rantingsfromavirtualsoapbox.wordpress.com/2014/02/26/shocking-animal-abuse-agroscope-fit-cows-with-portholes-to-test-digestion/ Shocking for cows shocking for rabbits. This is horrific in the extreme, an invasive test, a vile abuse as are all the abuses shown in the article. Makes me feel sick inside. It is Suffering unimaginable. It reminds me of the following quotation. Only a cruel callous mind and yes I am going to say wicked mind could have devised such a hideous contraption to insert into the body of living feeling sentient being. In China dogs and cats are being killed and skinned alive and their fur is being used to make toys and clothes. There are more actions you can take further down to stop the fur trade. Please take as many actions as you can. Please help cats and dogs today. Please share this petition widely. If you have watched the video you will notice rabbits are among the animals who are violently thrown from the truck. Please keep in mind that although the focus of this campaign is on cats and dogs, a much loved and cared for pet by many of us both here in the west and in China, the fur trade is still a modern-day evil regardless of the species of the animals who are killed to produce any product, be it toys or fur coats. Any animal’s fur belongs to the animal, whether it is a cat, dog, rabbit, fox, mink or whatever, it is as simple as that. Killing another sentient being regardless of species for his or her fur is a heinous crime and should be banned world-wide. More information and other actions you can take to stop the fur trade in China. China’s Shocking Fur Trade – Take PETA’s pledge to be fur-free today! The above only includes the address of the Chinese embassy in the USA.